Bo Rodenbough has a practice dedicated to commercial and business tort litigation, commercial real estate, and mergers and acquisitions. 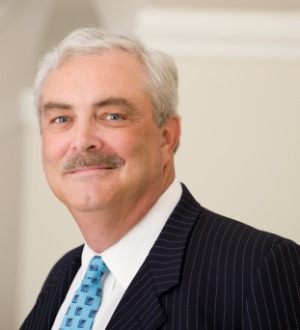 Bo's litigation experience includes defense of a Fortune 500 company in an ERISA class action seeking more than $180,000,000 in damages; defense of a Big Three accounting firm in malpractice/negligent misrepresentation cases arising in North and South Carolina; representation of two of the ten largest consulting firms in the United States in a variety of litigation and contract negotiation matters; prosecution of a precedent-setting case concerning breach of environmental warranties with respect to asbestos containing materials and lead-based paint in the sale of a million square foot industrial facility; representation of one of the country's largest textile manufacturers in a lawsuit against a nationwide retailer involving the companies' names resulting in a nationwide injunction imposing broad restrictions on use of the name in advertising and marketing materials; and the prosecution of an appeal to the United States Supreme Court involving the IRS's interpretation and application of Section 501(c)(3) of the Internal Revenue Code. Bo also has a broad and varied commercial real estate practice. He regularly represents owners and developers of real estate in acquisition, development, construction, financing, leasing, sale, and syndication activities. He has advised clients in the development of a variety of mixed use projects, corporate parks, planned unit residential developments, apartment complexes, shopping centers, professional and office buildings, and resort properties. He has structured and closed complex financing arrangements, including synthetic leases, conduit financings, and securitized mortgages. He also advises clients on a variety of Section 1031 like-kind exchanges, including tenancy in common, reverse and deferred exchanges. He regularly negotiates and drafts commercial leases for both landlords and tenants. Finally, he counsels clients on compliance with the Interstate Land Sales Act and related state regulation of interstate land sales. Executive Board Member and Treasurer, Piedmont Conservation Council, Inc.